Stocktrades is continually looking to find ways to bring the best possible personal finance content to your desktop. This is why we were absolutely elated when Rob Carrick from the Globe and Mail agreed to answer some questions we feel a lot of investors are asking right now. If you don’t know who Rob is, let’s get that out of the way first. So who is Rob Carrick? Rob has been writing about all things personal finance, business and economics for 20 years running. He started with the Globe and Mail in 1996 and has been writing about personal finance for them since 1998. Rob has published several books over the years and we consider them must-reads for anyone looking to start saving money efficiently. Don’t believe us? We’ll list them below, head on over and read the preview Amazon provides before you decide if they are right for you. Now that you know who Rob is, let’s get down to the brass tacks. We’ve scraped the internet and found out what YOU are asking. Here are 12 answers to some key questions investors are asking themselves in 2017. If you find this article could help someone you know who is looking to start investing, or even buy their first home, don’t be afraid to share it. Have a question thats burning in your mind? Let us know in the comments, and we will do our best to get it answered! 1. Hypothetically, if I had an additional ten to twenty thousand dollars over-and-above twenty percent down for my new home, would I be better off sinking that extra cash into the mortgage or investing it elsewhere? Rob: As noted in a recent column, I used to tell recent home buyers to hold up on the prepayments and put money in their RRSPs and TFSAs instead. But now, with house prices soaring in some cities, I’m worried about people having to renew huge mortgages at higher mortgage rates. Today, it makes sense to use the extra money above the 20 per cent DP to reduce the amount borrowed. A smaller balance lowers the payment shock if rates rise. 2. What is your opinion on the outlook for big bank stocks in 2017, taking into account employees of some companies have expressed their employers “make sales or get out” philosophy? Rob: I look at investments from a long-term perspective and, as a result, I have a permanently bullish view of the banks. The furor over high-pressure sales tactics will pass, as will any other missteps the banks make. 3. How can I set myself up for a successful retirement while still enjoying life? 4. What effect if any do you believe Donald Trump will have on the Canadian Economy? Rob: Tough to say because there are questions about the extent to which Trump will follow through on all the things he talked about during the campaign. Side note: Here is a great article on investing with trump in office by Mark Seed from MyOwnAdvisor.ca. 5. Where is my money best invested, in stocks, bonds, ETFs, or mutual funds? Rob: No one best pick for all. I like ETFs for cheap fees, strong diversification and easy portfolio building. You need as few as three to build a sound portfolio. 6. I am looking to buy my first home, what suggestions would you make in regards to getting the lowest interest rate possible. Rob: Try your bank, then consult at least one or two mortgage brokers to see what the best rates are. But don’t look just at rates. A lot of people end up breaking their mortgage for one reason or another. Ask about how stiff the penalties are for getting out of a mortgage early. 7. Is it helpful or harmful to borrow from my RSP for a down payment on a home purchase? Rob: Harmful because you’re using money that could benefit from decades of compounding. But I’m not sure how people afford to buy homes in expensive cities without plundering their RRSPs. 8. What level of risk should a 25 year old take in investing compared to that of a 50 year old? Is it true that younger people should take on more risk investing as there is more time to recover from a potential loss? Rob: How about 90 or 100 per cent stocks for a 20-something investor? But you have to be honest with yourself if you do this. Would you be scared into selling if the market fell by 33 per cent, as it did in 2008? If so, go with a more conventional weighting of stocks and bonds. Maybe 70 per cent stocks, 30 per cent bonds. Remember: The S&P/TSX composite index has averaged close to 8 per cent annually over the past 30 years, including dividends. That includes many stock market crashes and corrections. 9. I am looking to diversify my portfolio, and want to invest in other sectors than oil and gas, what other industries are best? Rob: I don’t pick sectors. What about checking out some of the new RI (responsible investing) products that skip oil and gas stocks or focus on the most socially responsible players in the sector? 10. Why should I invest either my cash or RSPs? And if I was to invest them, where should that investment be made? Rob: The reason to invest is to generate long-term wealth. You can’t really do that keeping money in cash at today’s rates. 11. Lots of Canadians, especially in Western Canada are worried about the current price of crude oil. What do you see happening in the next couple of years? 5 years? Do you believe we will ever return to $100 dollar per barrel oil? Rob: I have no idea where oil prices are going, but I do know that prices could spike higher if we see a rise in geo-political tensions in the middle east. It seems we’re a fair distance from global economic demand pushing up oil prices. 12. To a younger adult or a student looking to invest, what is the single best piece of advice you could give them? Rob: Pick some widely diversified low-cost ETFs covering Canada, U.S. and international stock markets and hold them for 40 years. Avoid the temptation to be a stock-picker. Very tough to consistently make money that way. That concludes the interview. We hope you enjoyed it and we would like to thank Rob Carrick for taking the time to answer some questions for us from an authority in the industry. 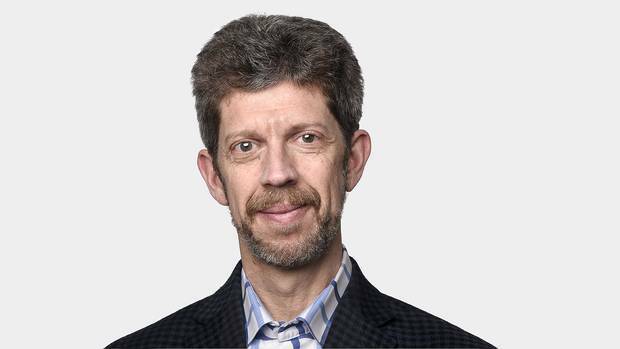 You can follow Rob on twitter @rcarrick and check out his articles at the Globe and Mail.